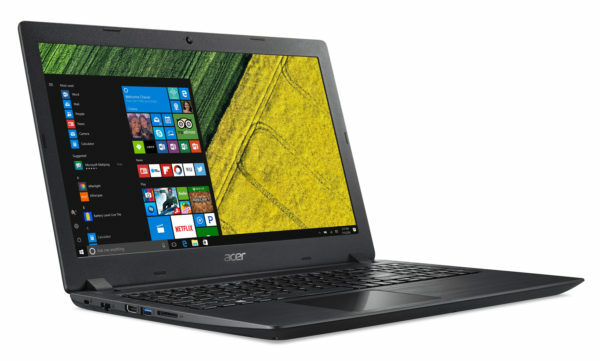 The Acer Aspire A315-21 -996B is a new 15-inch laptop that is armed for productive office automation. It is installed on a base consisting of a Dual Core A9 Stoney Ridge and 8 GB of RAM and is distinguished by its hybrid storage consisting of a dedicated SSD of 128 GB and a hard disk of consequent capacity, which offers a reactivity not negligible to Windows 10. It is displayed at less than 500 euros . 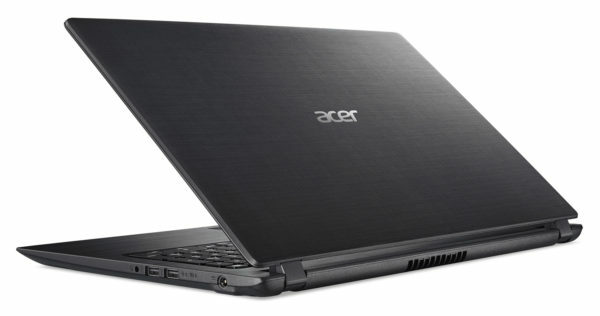 The Acer Aspire A315-21 – 996B features a softening of a completely black hull, but the finishes are covered with a cover with a raised grid and a brushed metal keyboard. The ensemble gains in elegance thanks to a refined silhouette (21,6 mm). Let’s also note the presence of a numeric keypad, where more and more 15 inches prefer to remove it to compact the chassis. 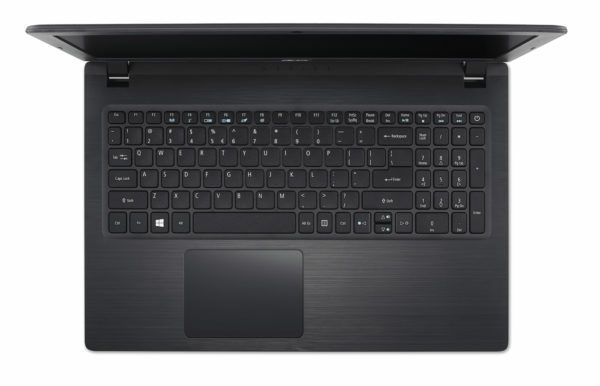 Not surprisingly, the keyboard is not backlit and the touchpad is clickable but the chassis has the advantage of offering a maintenance door to upgrade the storage. The autonomy should hardly reach the 5 hours in Internet browsing with Wifi active, it is in the middle low. Central to its configuration, the hybrid storage solution will be decisive in terms of responsiveness. In principle, the 128 GB of the SSD accommodates the operating system and programs while the 1000 GB hard drive takes care of storing your game library, thus ensuring an efficient overall execution, phases of switching on / off and copies of data at accelerated speeds. This solution is all the more valuable because it supports a rather light base composed of a mobile AMD A9 Dual Core processor of last generation. As it stands, the PC can not face much more demanding than office use (Internet browsing, video playback, work on Office) if not a bit of photo editing. Good point, the 8 GB of RAM bring a welcome fluidity to the system and ensures a nice amplitude in multitasking. Regarding the screen, its specifications are all that is more standard for the price practiced. The definition is basic (1366 x 768 px), gloss treatment and TN type slab. Result, reflections may appear if you work in a very bright environment (back to a window), the angles of visions are narrow and colorimetry unreliable. Finally, the connection ensures a correct level despite the absence of USB Type-C port. There are an SD card reader, an HDMI video output and three USB ports including a USB 3.0. For data exchange, 802.11 AC, Bluetooth 4.0 and Gigabit Ethernet modules are available.